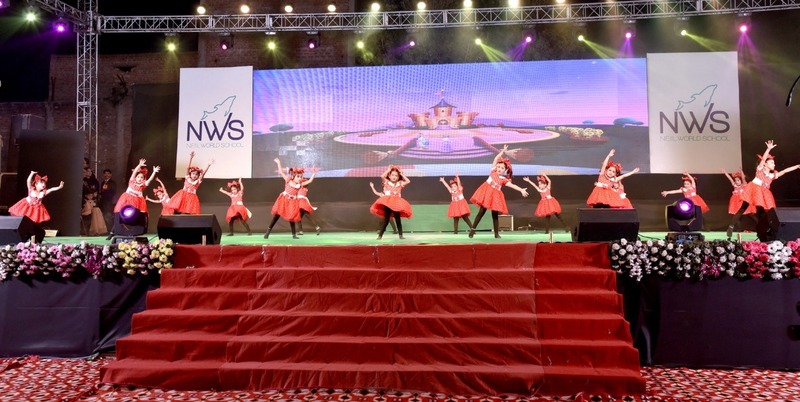 Neiil World School celebrated its 22nd Annual Function amidst great zest, vibrancy and euphoria. 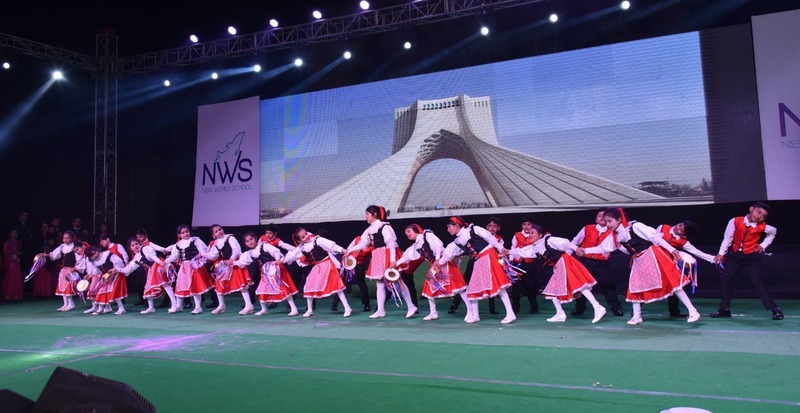 The theme was “Around the World in 80 minutes” which was a glimpse of the world, the cultures of the different countries and its various dance forms. 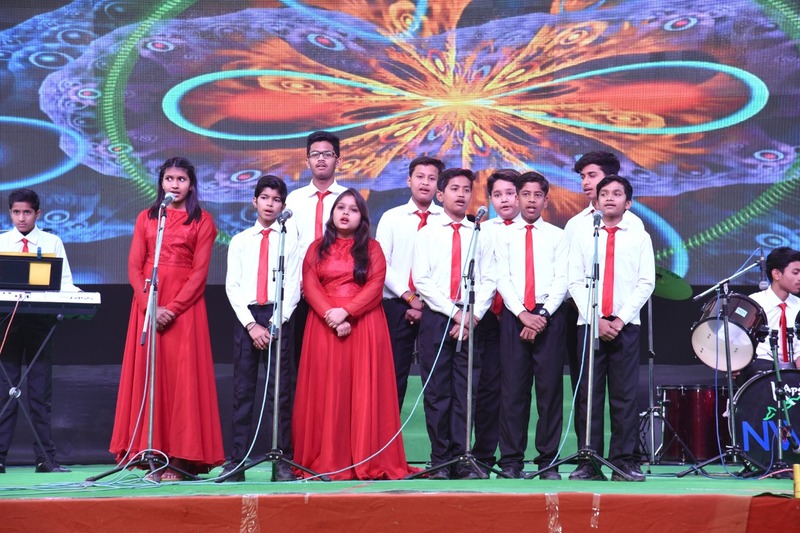 The programme commenced with the talented choir of the NWS-Orchestra presenting a musical show, where the budding music talents of the school played and rendered mellifluous songs. 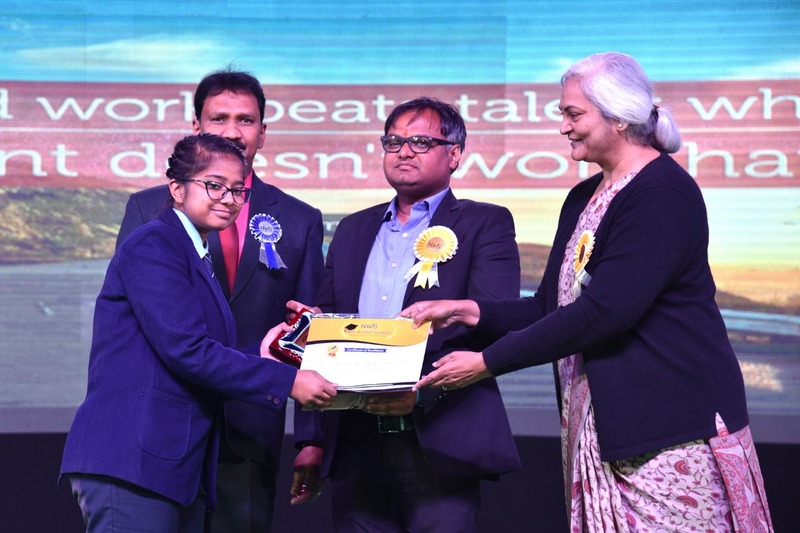 Shri Bhaskar Lakshakar, IAS Collector, Morena was the Honourable Chief Guest on the occasion. 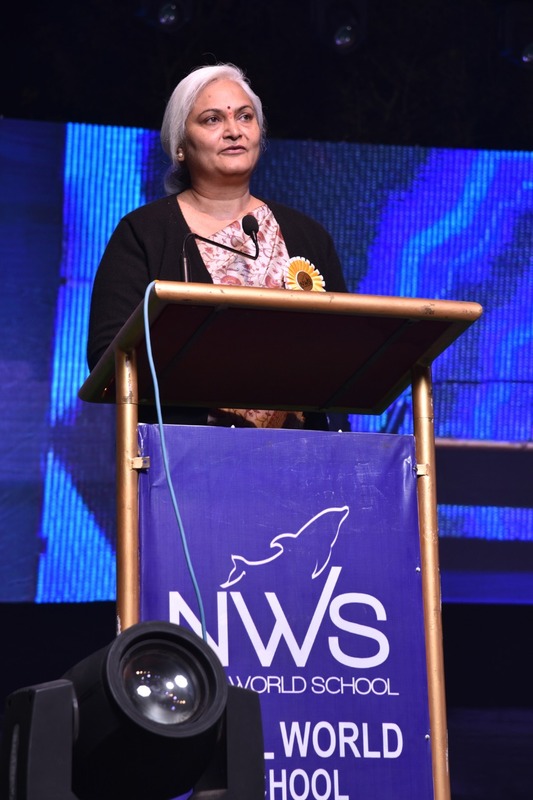 Mrs. Nishi Mishra, Principal, Scindia Kanya Vidhyalay was the Guest of Honour for the evening. Among other dignitaries present were Shri Ramesh Chandra Garg, Chairman KS Oils, Shri Govind Garg, Shri A.N. Manikandan, Principal, NWS, Guna. 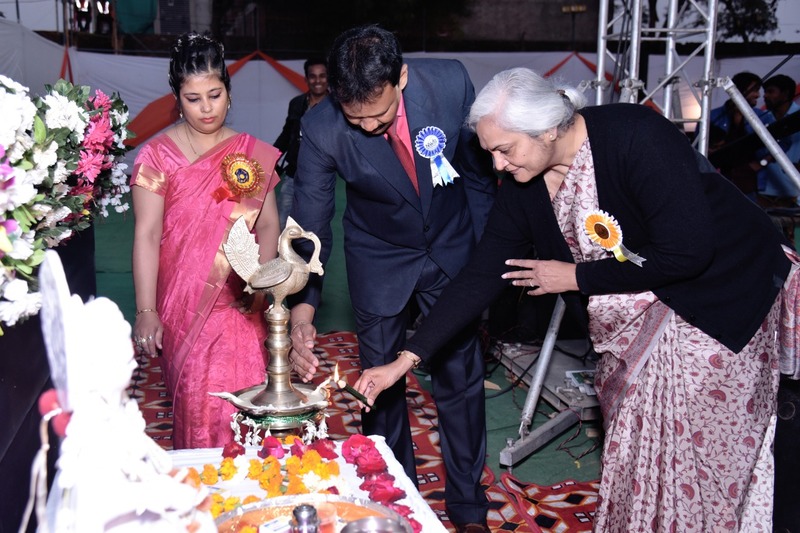 The Chief Guest Shri Bhaskar Lakshakar, escorted by the other dignitaries and the Principal, initiated the Ceremonial Lamp Lighting. This entailed the floral welcome of all the distinguished guests with mementos. The Welcome Speech was given by the Vice-Principal Mrs. Molly Dennis . A respectful floral welcome was given to all the distinguished guests by the students. 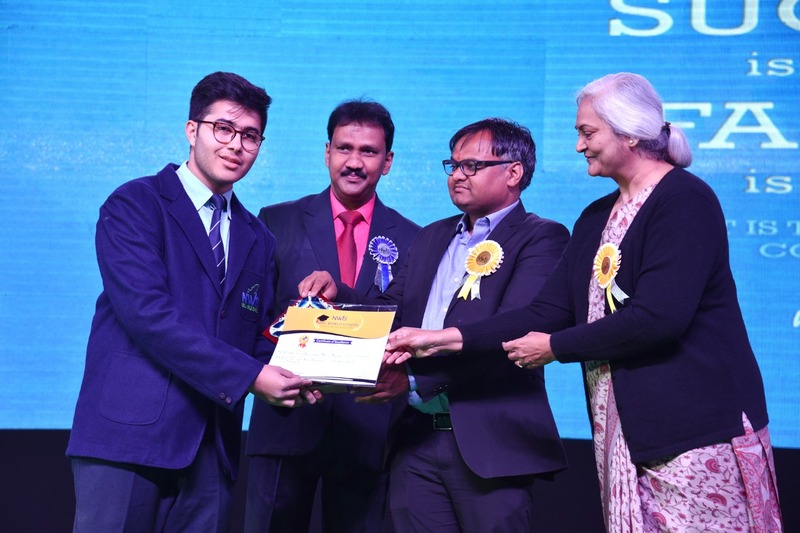 The Principal Mr. Dennis Augustine presented the School’s Annual Report highlighting the co-curricular and academic achievements of the students. 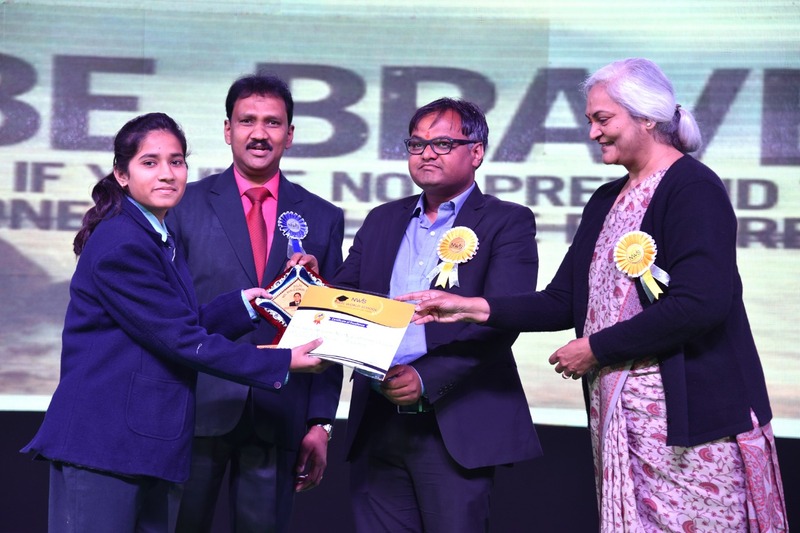 Students who won laurels especially at various National and State Level competitions and the meritorious students of various classes were also felicitated during the occasion. 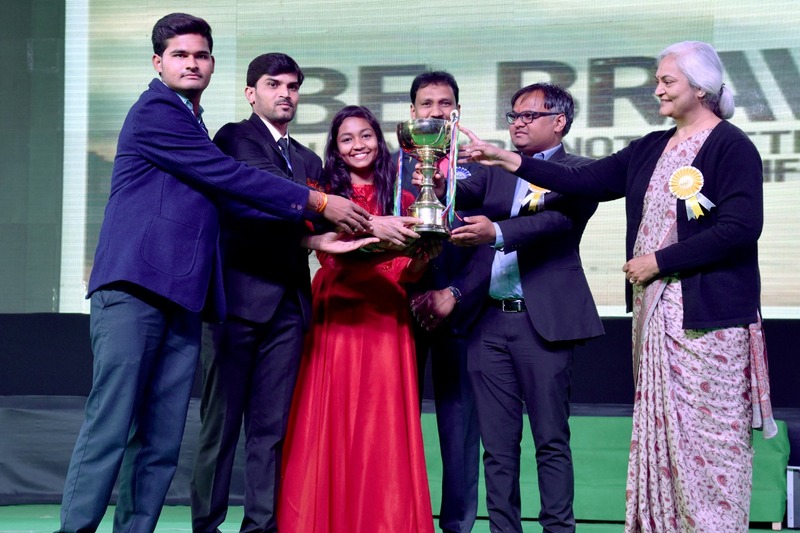 The best House for the last session was declared as Vishwas House and the House Master-Mr. Shakil Khan along with the House Captains received the dazzling trophy. 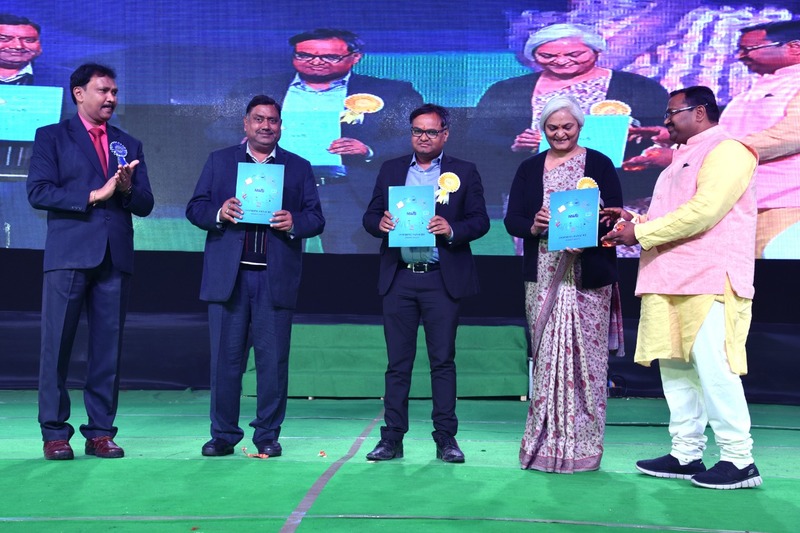 NWS-School Magazine-‘Inspiring Panache-was also launched during the occasion and presented to the dignitaries. 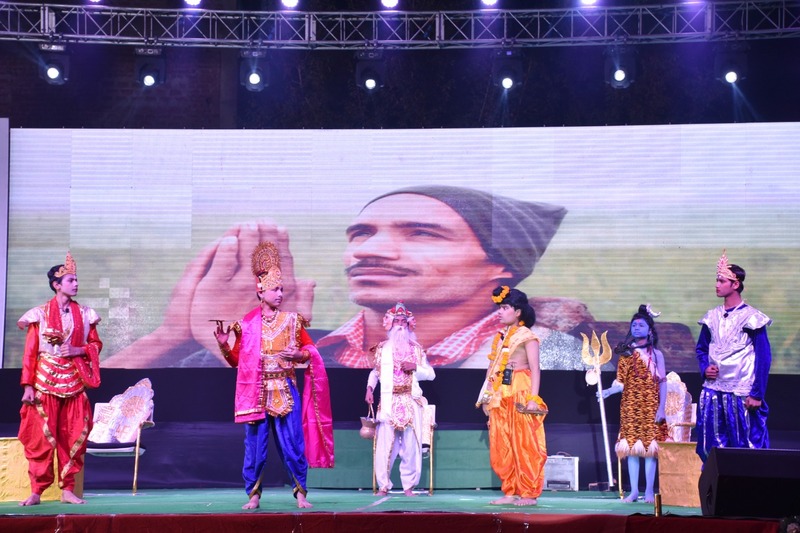 The Cultural Extravaganza commenced sharply at 7 pm as scheduled with Ganesh Vandana paying tribute to Lord Ganesh. 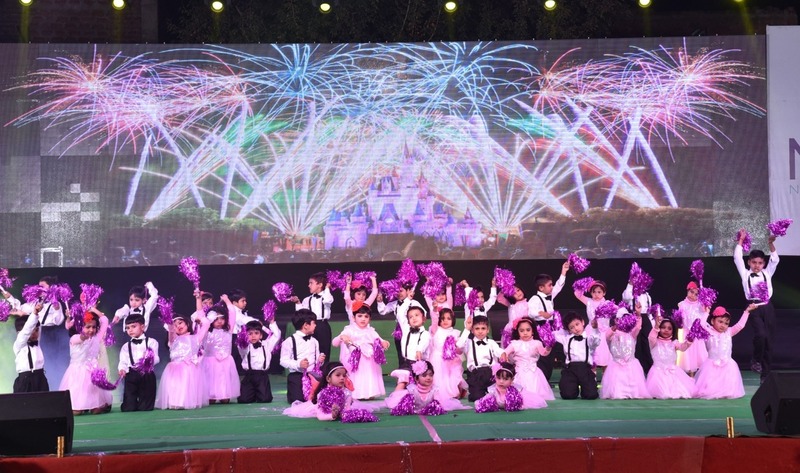 The tiny tots of the Pre-Primary Wing presented a spectacular dance performance on the stage, which received loud cheers from the audience. The journey around the world began from Italy where students of Class 1 and 2 dancing on the tune of the Italian Tarantella evoked images of a frenzied spinning dance traditionally played at weddings. The highly energetic salsa dancers of Class 3 strutting their stuff on the dance floor made the audience have a glimpse of the Latin American country of Cuba. The audience then visited Brazil and enjoyed the quick beats of the Samba Dance beautifully presented by the students of Class 4 showing their dribbling tricks with football. Then the audience were brought to an authentic touch of the Eastern Culture by the sensational belly dancers of Class 5. 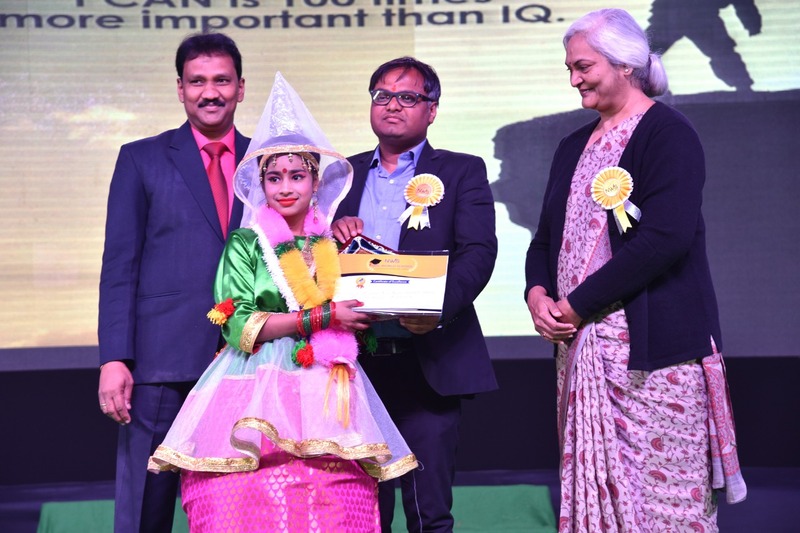 The students of Class 6 displayed a scintillating tribal dance form of South Africa that gave a glance of the African culture to the audience. 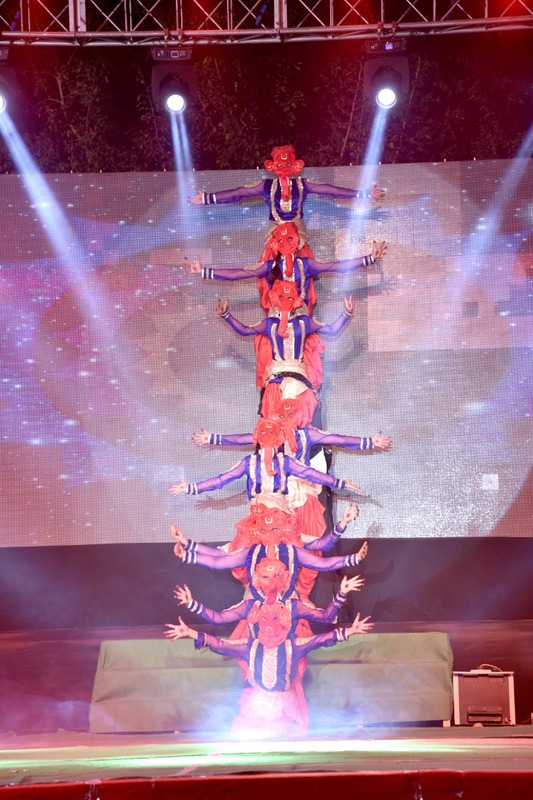 The Chinese Dragon Dance was brilliantly performed by the students of Class 7 which made the dragon sway and undulate in a breathtaking manner. The dragon was a sight to watch for the audience. 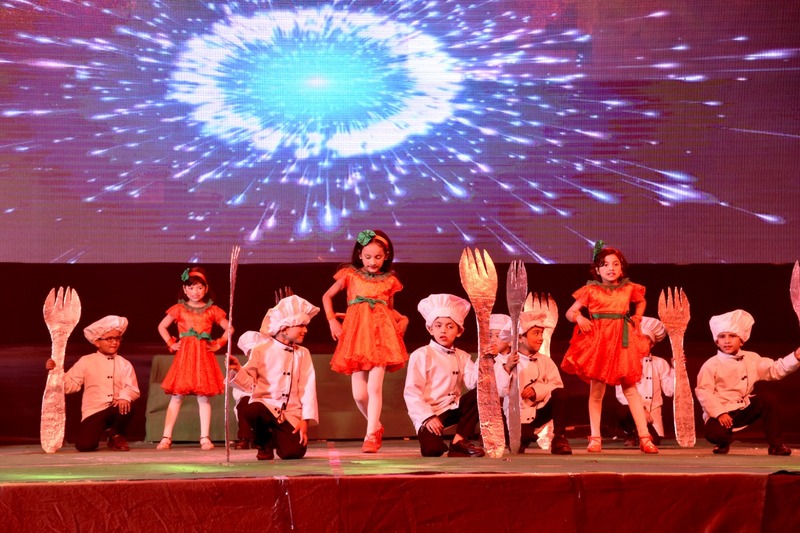 The audience was left spell bounded by an amazing performance on the stage by the students of Class 8. They show-cased the American hip-hop dance form-Jabbawockeez with their faces covered with white masks which left the audience bewitched. 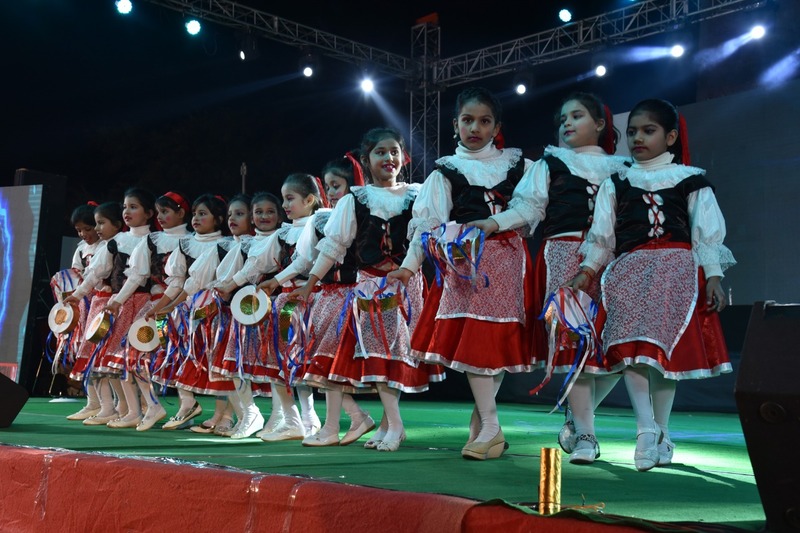 The Mexican Dance moves by the students of Class 9 provided a glimpse to the Mexican culture. 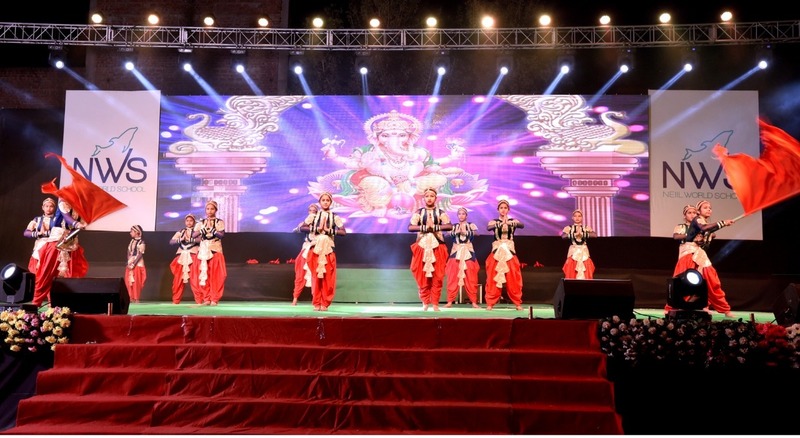 The rhythmic tapping of their feet with their flowing vibrant skirt was a mesmerizing sight for everyone. 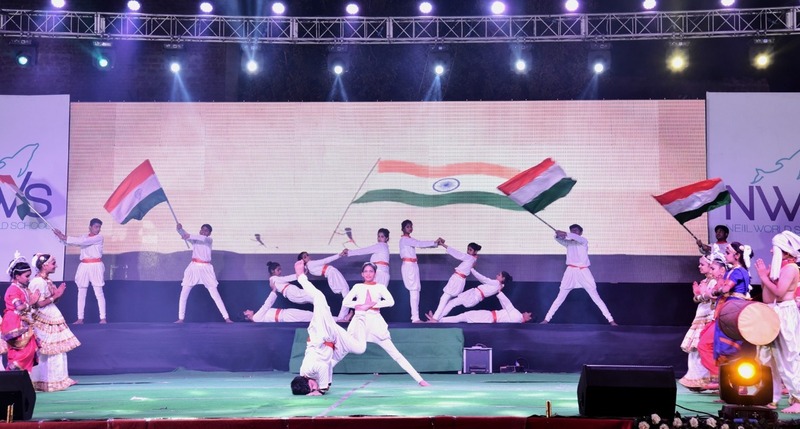 Last but not the least by any means the audience enjoyed the Indian classical dance forms, which added a patriotic flavour in the end. 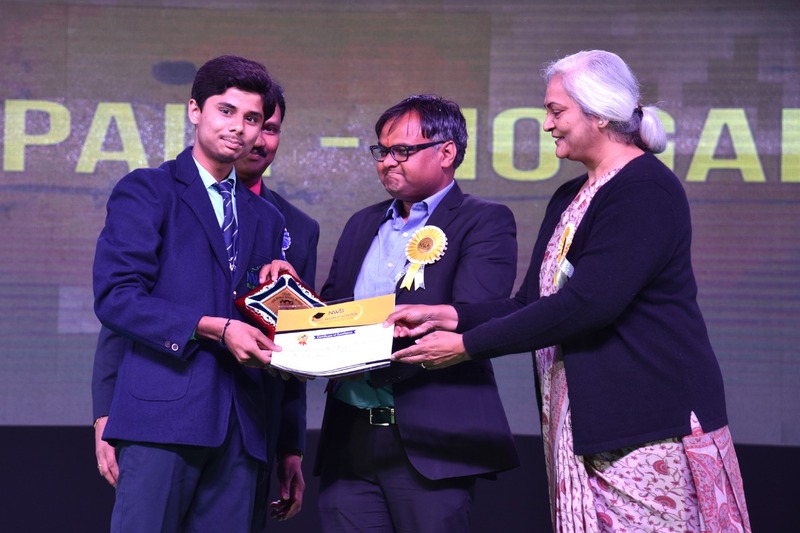 The Annual Function concluded with the Vote of Thanks proposed by the English Teacher-Mr. Roshan Thomas.